AL SIDES ARE*** 1 AND HALF ***INCH THICK CAPPED OF WITH 2X6. VERY SOLID PLANTERS THAT WILL LAST DECADES. 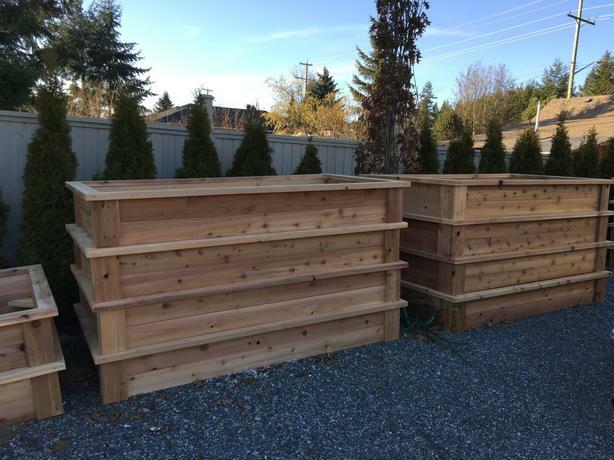 THE REASON RAISED GARDEN BEDS WORK SO WELL IS THAT THE SOIL IN THE BOX GETS HOTTER THAN THE SOIL IN THE GARDEN , LEADING TO EXCEPTIONAL YIELDS COMPARED TO YOUR AVERAGE GARDEN.